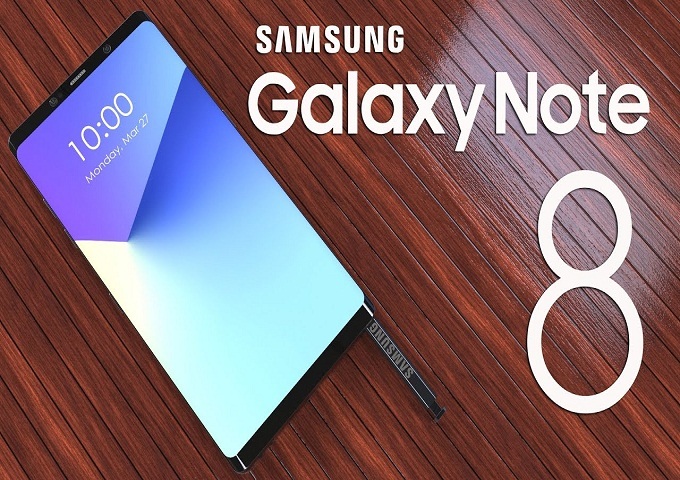 We all love speculating and seeing leaked images of much anticipated Smartphones, Samsung build the excitement amongst its fans when it announced the launch of its Galaxy Note 8, this year. And it seems like two of the world’s most famous flagships will be competing against each other. The recent image leak of Samsung’s hot Galaxy Note 8 has left the brand’s followers with billions of questions. The first leak of the Smartphone was seen in April, which took the Smartphone industry by storm. And with its recent leak, it seems that Samsung has finally created something which will take over Apple. Just like Apple, Samsung was also working on a fingerprint embedded scanner on the display of the smartphones. Samsung previously planned on launching this feature with Galaxy S8, but its partners were unable to adjust all the components on time. And now Galaxy Note 8 suggests that it will be launched with fingerprint sensor, but it is being suggested that Note 8 will come with a scanner on its back. These leaks were revealed by CNMO.com, which is a Chinese site that posted the photos of Galaxy Note 8 recently. It is also being speculated that the phone will come with a dual camera, but its back fingerprint scanner remains to be its USP.